Blockchain startup Era Swap introduces a robust peer-to-peer (p2p) marketplace to revitalize the freelancer sharing economy. 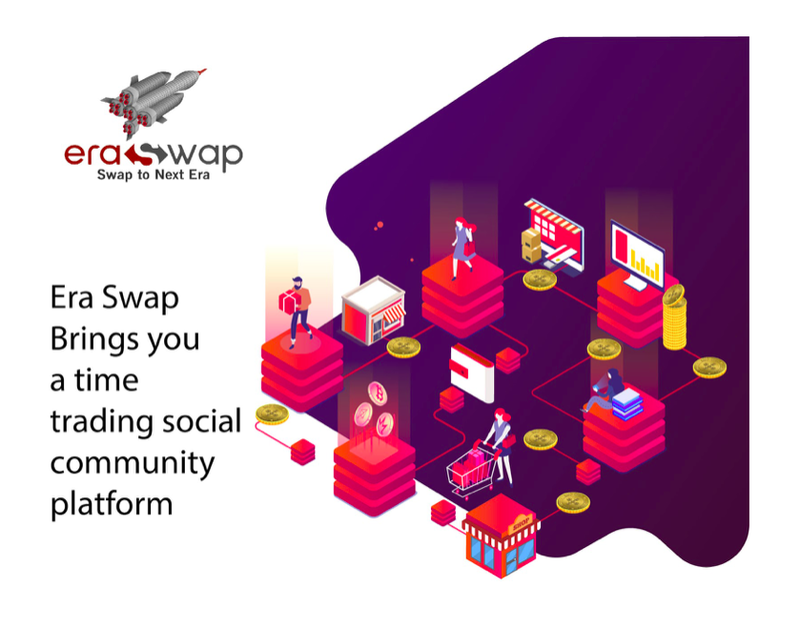 MALTA, October 11, 2018 – Era Swap is a social community platform that intends to be a valuable market for Time of services, Education, and Crypto Assets. The platform houses several other interlinked platforms to create a self-sustaining ecosystem. Time Swappers Platform – This is where “Time Traders” market or purchase services from one another, it is also where “day-swappers” grow and maintain the platform alongside ‘curators’ who monitor the platform. Era Swap iis the source of this content. Virtual currency is not legal tender, is not backed by the government, and accounts and value balances are not subject to consumer protections. This press release is for informational purposes only. The information does not constitute investment advice or an offer to invest. The Era Swap token sale is closed to US participants and participants of all countries in which ICOs are illegal.